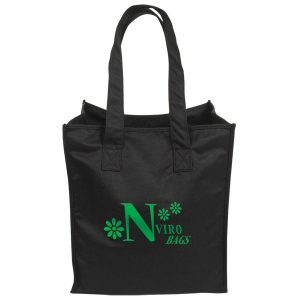 LN16612-Gloss Laminated Designer Tote Bag (16W x 6 x 12H): This durable grocery bag measures 16” x 12” and features 6” gussets with 22” handles. Crafted out of a non-woven, laminated polypropylene material that is easy to wipe clean while providing additional structure and strength. Designed to resist water, tears, and UV rays. Includes a high-gloss finish for a fashion-forward style. 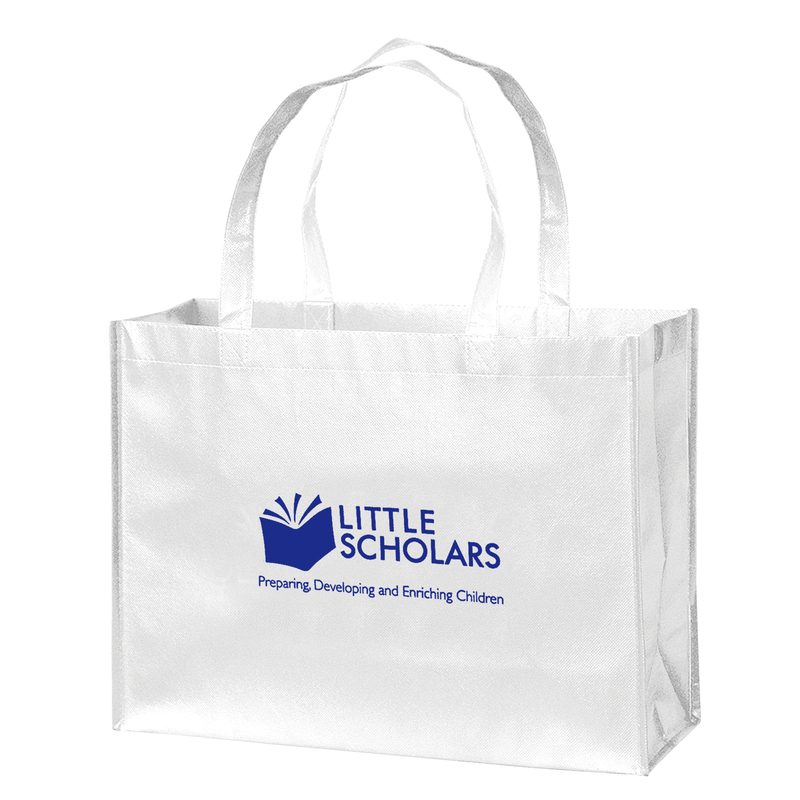 Available with a poly board insert made of recycled plastic. 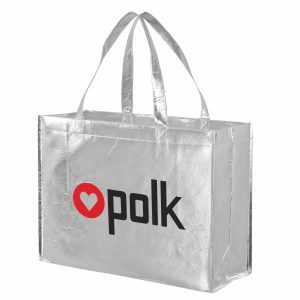 This bag may be customized with a company name and logo. 110 GSM Non-woven polypropylene with gloss lamination – Recyclable # 5. 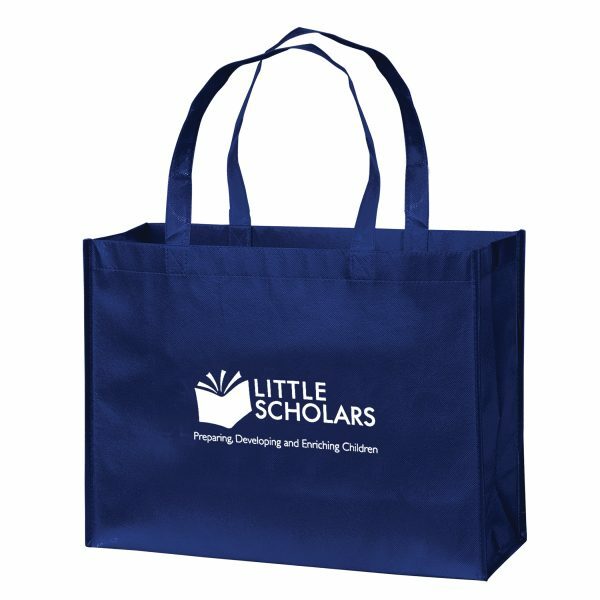 16″ W x 6” Gussets x 12” H.
LN16612 Gloss Laminated Designer Tote Bag. Designed to resist water, tears, and UV rays. Includes a high gloss finish for a fashion forward style. Available with a poly board insert made of recycled plastic. Other great options here. 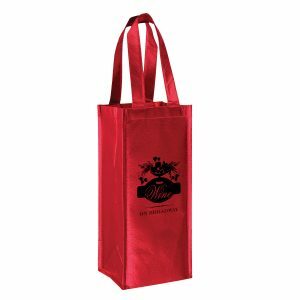 In addition to our green reusable grocery bags, we also offer top quality bulk seed paper products. 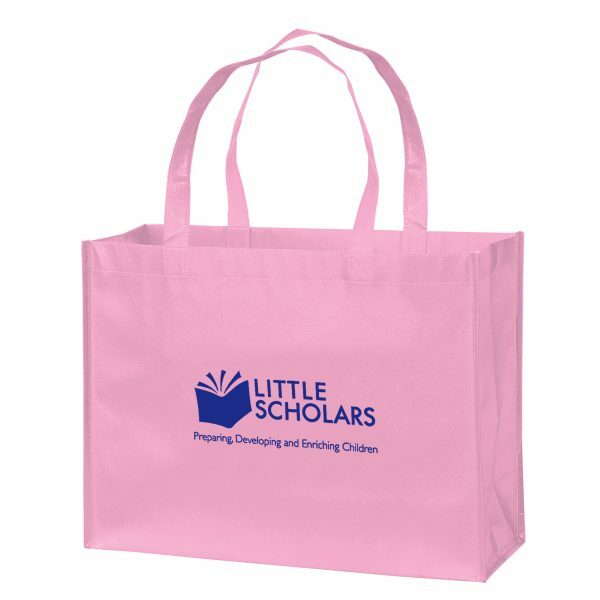 They’re great for any type of event, giveaway, or promotion. The fact that they are eco friendly means you will be going green and taking the initiative to do what’s right for the planet. View other great options at customgreenpromos.com. This durable grocery bag measures 16” x 12” and features 6” gussets with 22” handles. Crafted out of a non-woven, laminated polypropylene material that is easy to wipe clean while providing additional structure and strength. Designed to resist water, tears, and UV rays. Includes a high-gloss finish for a fashion-forward style. Available with a poly board insert made of recycled plastic. 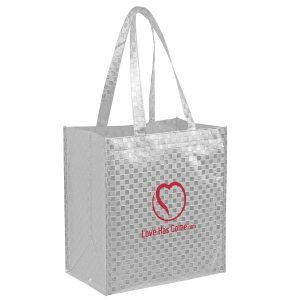 This bag may be customized with a company name and logo. This bag is available with a poly board insert for the bottom of the bag at an additional cost of $0.30 per bag. The insert is made out of recycled plastic. Please order separately and we will slip one in each bag for you. You’ll need to add 8 lbs.per 100 bags to the case weight if ordering inserts.